I look at the Totally Spies Wikipedia page and I see that there a new season. 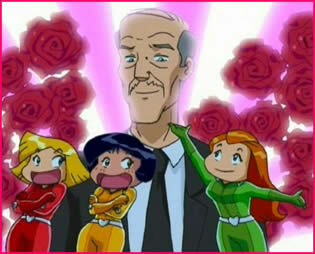 I kind of wondering what happen to Totally Spies. I know that there no longer showing it on Cartoon Network so I wondering if the English dub is going to be available or not. I see a lot of videos of the show's episodes in French and such. I really want to watch it legally in English. I see a bunch of English season 6 episodes listed on Bing videos. Go to bing videos and type in "Totally spies season 6"
Hopefully the result will be same for everyone and not country-restricted. Last time i checked, YouTube had all of Season 6 episodes as well. That's where I watched all of the Episodes!! Yeah, thankfully I watched all of Season 6 on YouTube (finally) last weekend. DVDs are another story: I bought a homemade set of Season 1-5 on EBay 6 years or so ago. And randomly found the official English/French Season 2 box set. Now I'm seeing Season 1-3 Box set on Amazon. No sign of Season 4-6 English DVD. And the TS Movie I only see in French or for regions other than N.America. If anyone has leads about the movie for NA, feel free to reply please.